Rates include unlimited kilometres, vehicle insurance (excess applies), GST and 24 hour roadside assistance. This compact vehicle is perfect for thrill seeking couples who are interested in a real outback adventure. It is more spacious than similar vehicles and the extra fuel capacity means you can travel for longer without having to stop. The indoor and outdoor cooking facilities allow you to enjoy a dinner under the stars or in the cosy camper. Rates include standard cover with AU$8000 excess and bond, 300 kilometres per day , taxes, kitchen kit, linen packs, and 24hr roadside assistance. Further excess reduction options are available. One way fees may apply - please see the terms and conditions. Can be rented to drivers aged from 21 years old. This self-contained vehicle, with a shower, toilet and fully equipped kitchen, is ideal for a couple wanting to enjoy the sights of journey at their own pace. 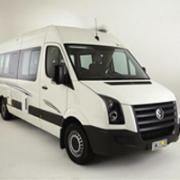 The rate includes unlimited kilometres, free transfers, and all the kitchen equipment and bedding you will need. Rent from a Tasmanian owned business that really knows the island! Please note that baby seats cannot be used in this vehicle. Find your own trail with this fantastic pop-top 4WD camper. This vehicle is ideal for adventurous couples who want a compact vehicle with superior handling in rough terrain. It features a slide-out kitchen and pop-top roof for extra space and ventilation. Rates include standard cover with AU$8000 excess and bond, 300 kilometres per day, taxes, kitchen kit, linen packs, and 24hr roadside assistance. Further excess reduction options are available. One way fees may apply - please see the terms and conditions. Can be rented to drivers aged from 21 years old. The Ultimate lets you take your world with you on your motorhome rental. The king sized bed can also be set up as 2 singles, there is even a day bed option if you feel like putting your feet up to read or plan your next destination. There is an exterior slide out BBQ so you can enjoy cooking and eating outside on a glorious Australian summer evening. Rates include: unlimited kilometres, basic insurance with a liability of AU$7500, GST, GPS, all kitchen equipment and bedding, and 24 hour customer care line. The Double Up is an inner city apartment on wheels. It has a toilet, shower and superior cooking facilities. There is a double bed above the driver’s cab and the dining area at the back converts to another double bed. Please note that a maximum of 2 child or booster seats can be fitted to the seats in dinette area behind driver’s cab. Rates include: unlimited kilometres, crockery and cutlery, GST, linen and bedding, Mighty Light vehicle liability, and a 24 hour customer care helpline. All branches have local tourist information and maps available. The Mighty Big Six camper is chock-full of great features, even after fitting up to 6 travellers. The living areas convert to sleeping areas, with 3 double beds - perfect for travelling families or friends. Give everyone plenty of room, a comfy night’s sleep, and the very necessary bonuses of a shower and loo. Then load up, pull your camper out, and let the good times roll. Rates include: unlimited kilometres, crockery and cutlery, GST, linen and bedding, Mighty Light vehicle liability, and a 24 hour customer care helpline. All branches have local tourist information and maps available. Rates include: Unlimited kilometres, Vehicle liability (liability applies), 10% GST (Goods and Services Tax), 3% Administration fee, Kitchen equipment, Linen and bedding, General equipment, GPS.